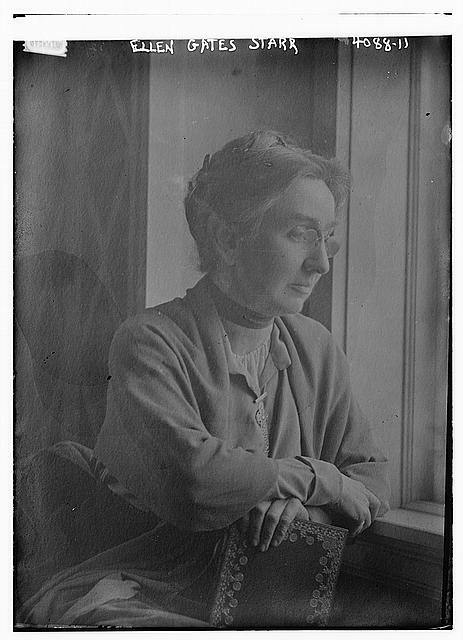 Ellen Gates Starr (1859 - 1940) was an American social reformer and activist. She was a co-founder of Hull House in Chicago which was formed to provide social and educational opportunities for the poor. Starr knew Clarence Darrow through her work at Hull House. Library of Congress Prints and Photographs Division, LC-DIG-ggbain-23460.